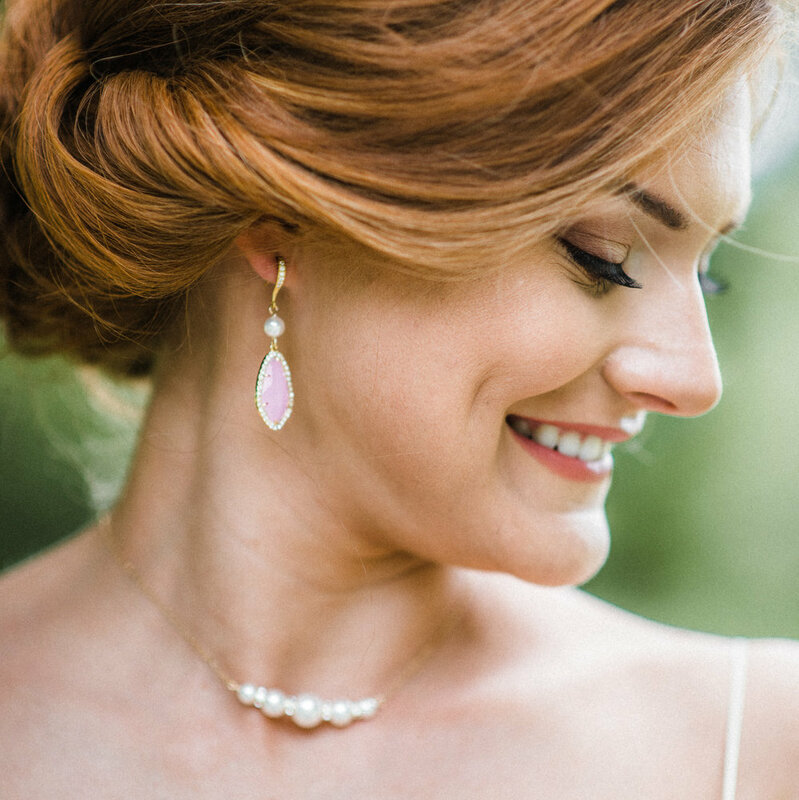 Estylo Jewelry started in 2010 and shortly after I specialized in Wedding Jewelry as my passion is to help brides find the perfect designs to match with their dresses, accessories and overall colors and style of their wedding. Brides come to my shop to find that special piece for their big day and I'm proud to say that my designs have been part of thousands of weddings all over the world. I make sure to understand each customer’s request and work with them till they're happy with their order. Most brides find the jewelry for themselves, their bridesmaids, mother and future mother in law, keeping the same style for their whole bridal party. As years went by and my former bridal customers became mothers, they started requesting more everyday and personalized jewelry. Around that time my first daughter was born and I realized the need of showing off meaningful mom jewelry. That is how I added a personalized and everyday jewelry line. But don’t forget the men in our lives, because I have something special for them also. 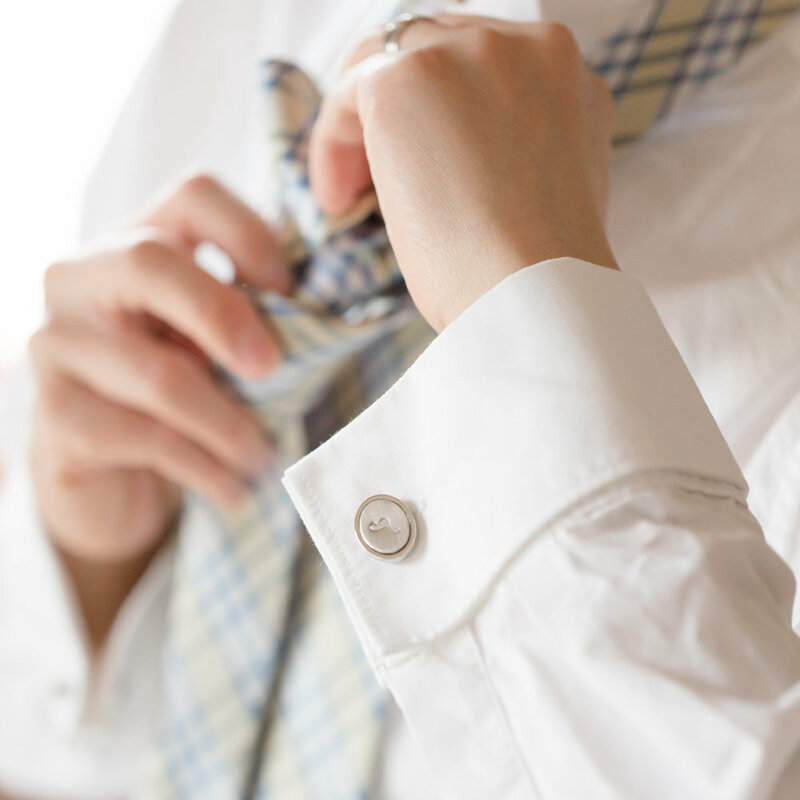 I make customized cufflinks for grooms, groomsmen, dads and grandfathers. I’m proud to say that I only use high quality jewelry components. I only source my crystals from Swarovski authorized sellers within the U.S. and Europe. I strive to use only Nickel free components to accessorize my customers with delicate skin. Most of my designs are made with Sterling Silver or Gold Filled components, which are by far better quality than plated settings and with proper care can last a life time. I do not jeopardize my quality even if it comes with a higher cost and my customers always appreciate it. My name is Sandra Callaú and I’m the owner, creator and designer of Estylo Jewelry. I was born in Argentina, however lived in many different countries in America and Europe and consider myself Bolivian. I started making jewelry in my 30’s following my mom’s hobby, but shortly after it became my passion and I was ready to open my shop from my then home in the San Francisco Bay Area, California. After having two beautiful and healthy kids and being tired of working a full time job at a tech start up, plus my side business, I decided it was time to put my full energy into motherhood and my own business. Shortly after we moved to Naples, FL where I design and make my jewelry from my home studio. Each and every piece is carefully handmade by me and just for you!